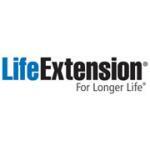 In 2008, Life Extension introduced Berry Complete, a unique blend of standardized extracts, powders, and concentrate from nature’s most powerful anti-oxidant. The antioxidant strength of just one capsule equaled more than 50% of the recommended five daily servings of fruits and vegetables. 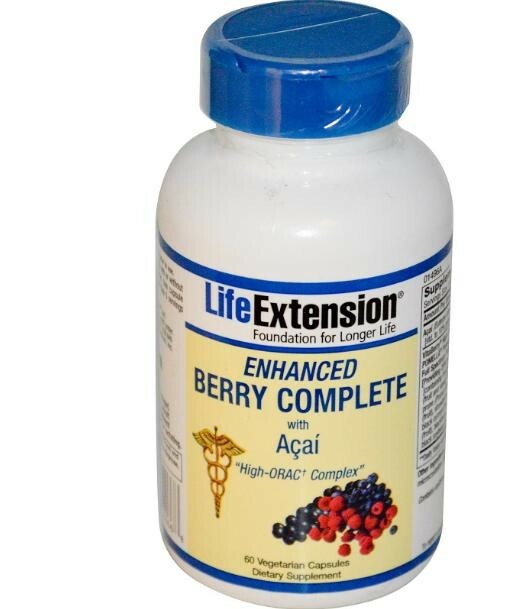 This is the next generation of that powerful antioxidant formula, and a single capsule of Enhanced Berry Complete with Açaí delivers an antioxidant value equivalent to more than 100% of the recommended daily fruit and vegetable intake. To measure the antioxidant strength of various foods, scientists use what is known as the ORAC† index. While berries score higher than most fruits and vegetables, açaí boasts one of the highest ORAC† values known to modern science. 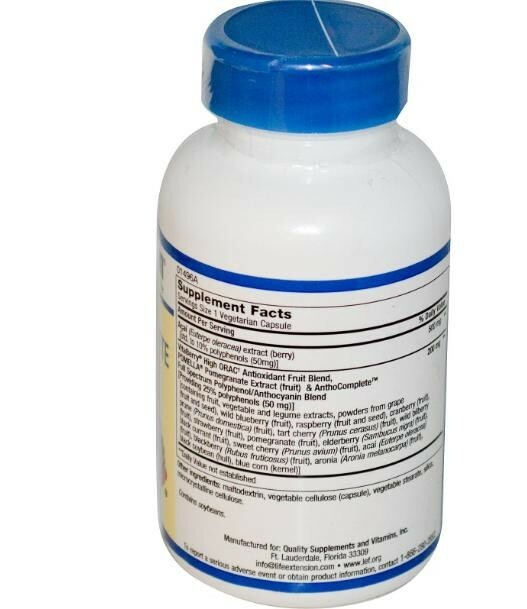 Each capsule also contains standardized extracts, powders, and concentrate of high-ORAC† value foods including: blackcurrant, blackberry, elderberry, wild blueberry, wild bilberry, sweet cherry, tart cherry, raspberry, grape, cranberry, prune, strawberry, pomegranate, black soybean hull, and blue corn … so you can conveniently obtain a broad spectrum of seasonal, hard-to-find, highly perishable foods, for optimal antioxidant value. Take one (1) capsule once or twice daily with or without food. 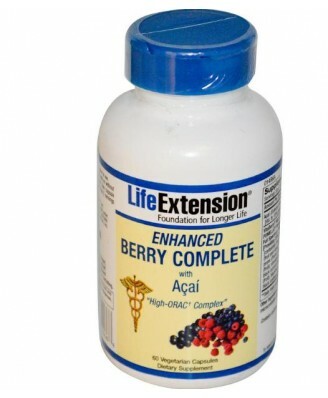 One capsule provides the antioxidant capacity equivalent to more than 5 servings of fruits and vegetables.